with claim that she was here to stay. and her words were full of sin. and stung me like a bee. and rose a stormy spell. and let me dream without a glitch. and pooped all over the mat. to puddle on the floor. to not murder and skin him. by the wisp that I’d made mad. as I plodded on alone. and made it very clear. and to my Lord alone. It has been a hard day of grief and pain. This time he is heeding my request to please stay clear and allow me to do my growing and grieving alone. But oh does it hurt! “What hurts?” I have asked myself. It is the sucking drain of the disappointment drawing back the wave of joy that flooded over me at the realization that “I have found someone who I can love for the rest of my life!” It is a pain that tells of the stripping bare of the garden that bloomed in my heart, watered by that wave of joy. New leaves and fresh blooms all viciously uprooted in their youth, torn from my bosom. Holes that once held clutching roots and ground that was not so long ago shaded by trees are now dry and cracked and gaping, assaulted by a burning sun of Truth. Truth that reveals every weakness in blinding, sweltering brightness. Truth that cuts through the beautiful words and whispered dreams passed lips-to-ear by the seaside. Cuts through the mirage of lies and folly-happy belief. Truth that burns away chaff. Leaving grief. Grief that the leafy ferns and tender orchids were not real but a bedtime story that needed to be grown out of. Grief at the loss of the cool, damp earth and fragrance of jasmine under a bright full moon all lost to truth. Even when you tried you lied. Your lies covered my days with painted colours, a full garden of imaginings. Now all swirled and sucked into the vortex of the drain. If only I had not believed. If only I had not allowed you, time and again, to deceive. Truth tugged at me, peaking through the sky-flung Poinciana branches and so I slipped to the side to a greater comfort, deeper in your fanciful creation each time. Until the midday of my heart came and truth, right over my head, burned the matrix away. I am the one. The one who has to see and now must live in TRUTH. And now… in the glaring light of the Truth that destroys all lies, I sit on a real stump of a real old tree – solid, dry, dead wood with the reprieve of Certainty that comes in the presence of Truth and the sound of the sea. Julius keeps coming back to check on me, walking only so far with the girls before coming back. The darkness I battled with threatens to return and my mouth calls out for numbing rum. Things of the past. Tears come at awkward times, tugging on my composure and pealing the edges of my theater mask, my warrior mask, my happy mask. No mask sticks to a slick pair of cheeks! I sit with myself, in myself, smothered under myself and vomit onto the page every bilious thought that steals my quiet. And I glance down and see a piece of something shiny and pink. Shining through tear-chafed eyes. A gift, simple and rugged. A full and pink conch shell! If I had not sat there with my tears I would not have seen it. After seeing the shell I put my book down and stooped to get it. But it was stuck. I dug around it with my fingers clearing the sand away between the roots of the old dead stump. The points at the top of the old conch shell were buried in the dead roots, cured by salt and covered with sand and thoroughly stuck. Stuck so fast that no amount of wiggling made it give. And so I searched for a piece of stick and dug with the stick. My right hand had already gone raw by now and threatened to bleed. I lost track of time in my focus and dug furiously. Hand and stick, hand and stick, wiggle here, tug there, still no give. And so I called to the girls down to beach to come and help me. Thus the shell had become my only focus, a symbol of happiness. I dug in relentless pursuit of it, the dig itself a fierce determination not to give up my hope. A struggle that brought blood to my hands and tears to my eyes. The girls didn’t hear me and I began to get frustrated. Why didn’t they pay attention? The sky was darkening and the fireball to the west had begun a low, dripping, over-ripe mango-sticky descent through the clouds. I called out again and they began to walk ever so slowly to me. It angered me that they weren’t there and didn’t care, that they couldn’t hear my calling out. Didn’t they know how important this was to me? Couldn’t they see me and my gestures and waves saying hurry? And plain as day I got it. THE POINT. Like a dream that gives such aching clarity to a situation obscured by daylight wakenings I saw. This is the purpose of my pain. To bring me to call on Him, the Most High. The One who can answer all my questions, cure all my ailments, and dig out all of my shells. And right there I looked up and said to him Father, the girls aren’t going to hear me. They aren’t here where I am right now. And they probably couldn’t help me anyway – I am stronger than they are. Please help me get this shell out. And so I bent over again and began to dig. It wiggled more and I dug some more. I stepped on one side to turn it loose and dug some more. I took my hands and scooped under the shell with sand cutting into my raw flesh. By this time the girls had strolled over to me. One came and reached down to help as I straightened up. It came loose in her hands. First try. No struggle – out it popped. But it was my struggle. There was a reason. Later at home I took that shell into my bath tub. There it will always stay pink and fresh with constant watering. It will also remind me at least twice a day, at my most naked and exposed moments, that my God is with me in every struggle and will be my armour when I feel exposed. And so I prayed into my little book. 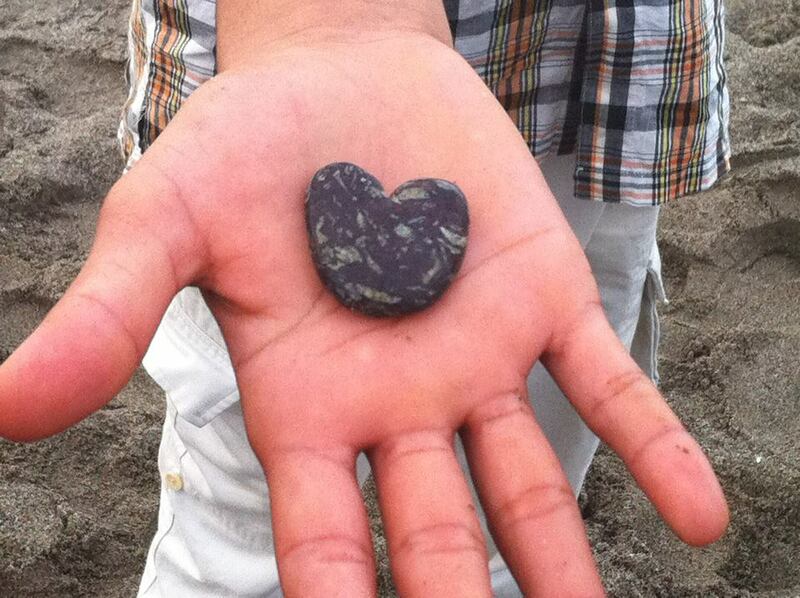 Father, please put that gem and hide it in my heart like that shell. Stick it in there and never let it wiggle free I pray. Please remind me that You are never going to leave me and that You are so much better than anything else I could ever find. Help me remember to call to You first because You are always right here, right now, where I am. Help me remember that when my friends are far away, or when they are up close – it doesn’t matter! They don’t have Your power. Please also use these struggles of mine, these battles I face, to strengthen the people around me. Help my struggle to allow them to find their own shell loose and ready for them to just pick it up. Take my writing and use it to Your honour and glory I pray. It seems I knew once how to deal with pain. I knew once how to reconnect to the core of me and commune from that core with the Source of all things good. I am so blessed to be reminded of that knowledge today. For me to summarize, Self-Esteem as I see it is the amount of value one places on ones’ self or the amount of love one has for ones’ self. Read the entire Wiki entry for what a low Self-Esteem looks like and what a high one looks like and we can easily see the theory: Perfect balance and harmony are found in a high Self-Esteem and the root of all harmful human behaviours lies in a low one. 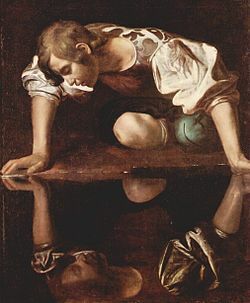 Narcissus, who loved the look of his own image so much he drowned in the pool of his own reflection, has so much to teach us on Self-Esteem. Our same common sense encyclopedia points to narcissism as being an unhealthy self-love, self-absorption, vanity and conceit. Have you ever been around a conceited person? Was it much fun? I went to university with a greek (coincidence, I promise) named Nic. I am in no danger of him reading this blog and seeing himself in it because 1. it would take away from the quality time spent in his mirror, 2. he could never see himself as a narcissist – that means something negative right? Nah. Not me – and 3. there are so many Greeks named Nic you could recreate the Great Wall of China if you stood them on each other. Nic was a narcissist. Classic. His body was more perfect than a greek god’s (even if it was a little short), his mind was more brilliant than any human being alive (about as bright as midnight), and anyone who disagreed was simply unenlightened. He had a healthy self-esteem alright – was the life of the party, didn’t suffer from any doubts, and did not in any way appear to feel the need to over-compensate. Nah. The guy was obnoxious, but going through Wiki’s list of symptoms of a low Self-Esteem he didn’t match up. He had no care about what others thought, was no people pleaser, was not hyper-sensitive or hyper-critical of himself, had no guilt or perfectionism (how could you improve on perfect? ), and even though he was entirely obnoxious, he had no floating hostility. He was a complete and perfect descendent of Narcissus. 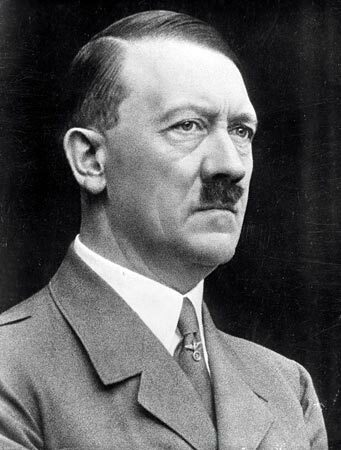 Along with Hitler, Saddam Hussein, Jim Jones, Stalin, Casanova and Marquis de Sade. Yet he was capable, like many narcissists, of countless ills. His conceit was nauseating and entertaining for its shock value all at once. He was invited to parties and events just to see what he would have the balls to say next. He was convinced that any woman who wasn’t swept off her feet by his hello was in denial, blind, stupid, and certainly not worth the rest of the conversation. Yet his Self-Esteem – fed by ingratiating, enabling and wholly entertained friends – was not only intact but thriving. Someone with a low Self-Esteem isn’t hard to find. Every tortured artist and troubled celebrity wears their low self-esteem on their shoulder. There are many who have rocked the world with their goodness despite having something close to hatred for themselves. 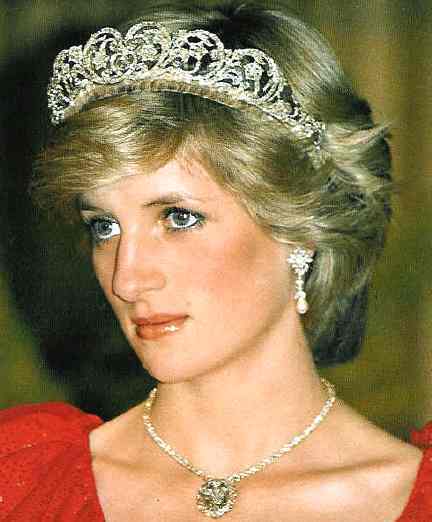 Princess Diana is a classic example – not one biography of her life fails to capture her self-doubt, her self harm, depression, bulimia and low Self-Esteem. Whitney Houston, the idol of many and valiant champion of love and music also harmed herself, doubted herself, made a masochist of herself. Did she have the Self-Esteem the match the level of esteem the world had for her? She certainly did not. But she is mourned with broken hearts all over the earth today, a few weeks from her death. There is also the far more balanced sense of self in the vision of Mother Theresa’s humility. Someone who made herself low, determined she was but a tool for the work of God, cannot necessarily be seen to have had heaping amounts of Self-Esteem. By her own admission she was always plagued with doubt, feared not being good enough for the ministry she was called to. And so… in the journey of making rubbish of the theory that high Self-Esteem leads one to perfection and low Self-Esteem is the root of all evil, we have made the first decisive step toward our destination on the Leer Jet of narcissism and the hard Hike of self harm. But there is something in the smoke of the theory that leads us to another fire altogether. Keep an eye out for the next leg of our journey – the Train to Identity. …this is kinda cool actually. You can test your self esteem on the Rosenberg’s Self-Esteem scale HERE. Try it out, leave me a comment with your score, and I’ll come back and write about it later.